New Year is started and its time to get more creative with your ideas and presentation. New year comes with lots of new challenges, so you have to get prepared what it brings to you, its time to create new beginning with enhance user experience. 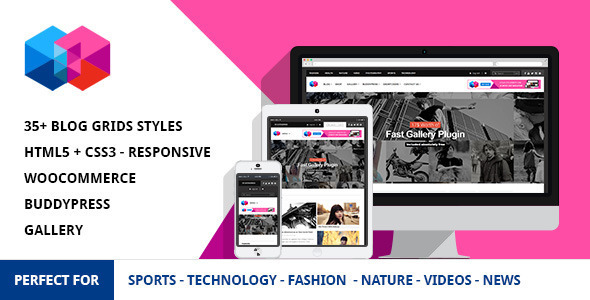 So it’s perfect time to give your website and readers a complete new modern look with lots of new functionalities. Which not only enhance the user experience of your website, but also re-new your website popularity. It’s time to surprise your readers with new dynamic look of your website. So today we have selected 10 best and hot wordpress themes for you from the top and trending theme list. On our previous article we have written about the 10 Hot & Best WordPress Magazine Themes check it out, we hope you enjoy our previous listing too. Smew magazine wordpress theme is good for sports, technology, fashion, nature, video and news sites. Which enhance the user experience with dynamic presentation of posts. Theme contains many styles and features. 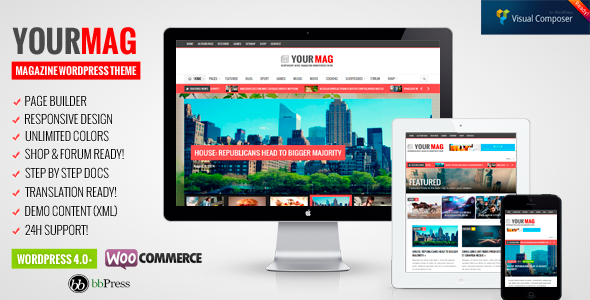 Yourmag is magazine themes comes with many useful features which beautifies your website with lots of options to create page layouts as you wish. Themes comes with review plugin so its also best for review sites and many more features. 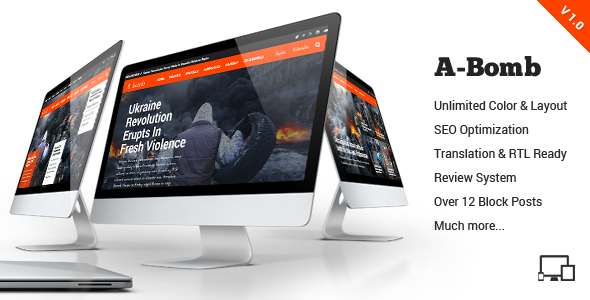 A-Bomb is the ultimate blog and newspaper wordpress theme that presents a whole new world of creating beautiful wordpress sites, the flexibility of this wonderful theme is second to none. Becks is a WordPress magazine theme with clean and modern UI (design). It is created for news, magazine, blogs. It also feature a responsive design which looks great on any device. NewsHub is a perfect trendy blog Theme for all Magazines, Bloggers and Reviewers. It’s extremely easy to use back-end admin and theme options, it adapts to any device and that resolutions, designed to present your news in a cool, minimal and creative way. Blog News is a WordPress themes which comes with full backend / theme option control and was based on Redux Framework. WP Review [post / page/ postype] was included and unlimited color option to choose as your website demand. Goliath is fully Responsive WordPress Magazine theme that looks and works great on mobile devices, tablets and computers. Goliath is especially well suited for creating product reviews – it has built-in rating system, cool summary tools and improved review display in Google search results. khokhty is a creative Responsive WordPress News, Magazine, Blog, the perfect choice for professionals who’s looking for a magazine template or a personal, niche, corporate, and marketing blogs. 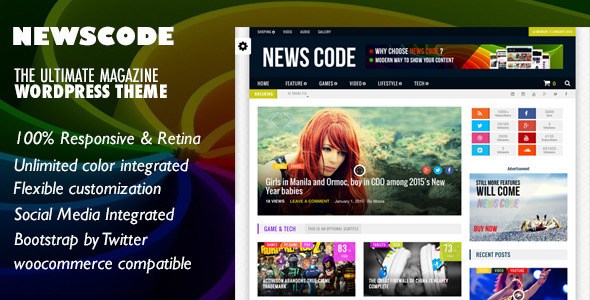 Newscode is a WordPress theme which feature a new modern design layout which not only enhance your website presence. Themes also comes with review management system which create rich dynamic review post. Newscode offer great functionality to the user to make their website look interesting. Hope you all enjoyed our listing. Do share if you know any more interesting wordpress magazine style theme in comment below, so we can add them to our next article. Thanks! Amazing themes…. :) Really liked it. Glad you enjoyed the my themes selection. Do let me know which one is your favourite theme, which you like to use in your future. Glad you enjoyed my themes selection. Yep they are all awesome to enhance overall website looks, which not only amaze your readers but also to get many features. Thanks for your reading and commenting!